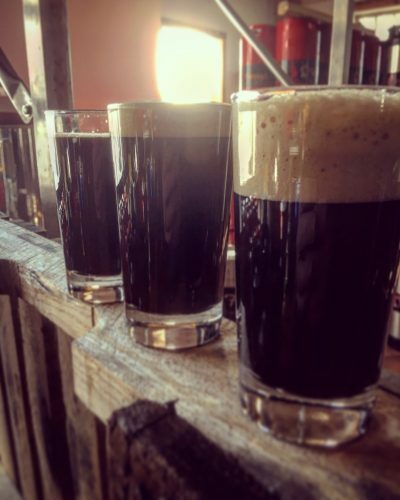 Cask vs Draft vs Nitro! Our favorite way to explore the aroma and flavors of beer. Come experience how three different ways of delivering the same beer can change the character and nuance of the style. Try our brand new Small, Dark, & Handsome Milk Stout on cask, on draft, and on nitro, and conduct your own taste test – side by side by side. This creamy session beer boasts a huge chocolate aroma, an ultra smooth and big body that belies its 2.3% ABV (yes, 2.3%! ), and a dry & roasty finish.